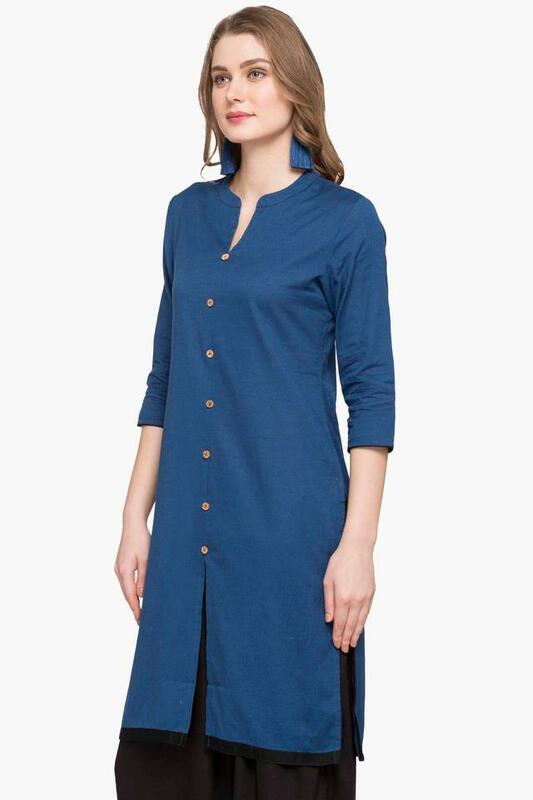 This kurta from the house of Stop will look great on you. Made of fine quality fabric, it promises to keep you at ease. 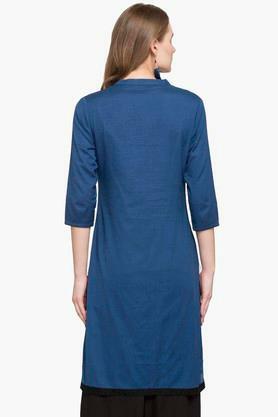 It features a slub pattern, which along with mandarin neck lends it a classy appeal. It also has three quarter sleeves that further add to the overall design. 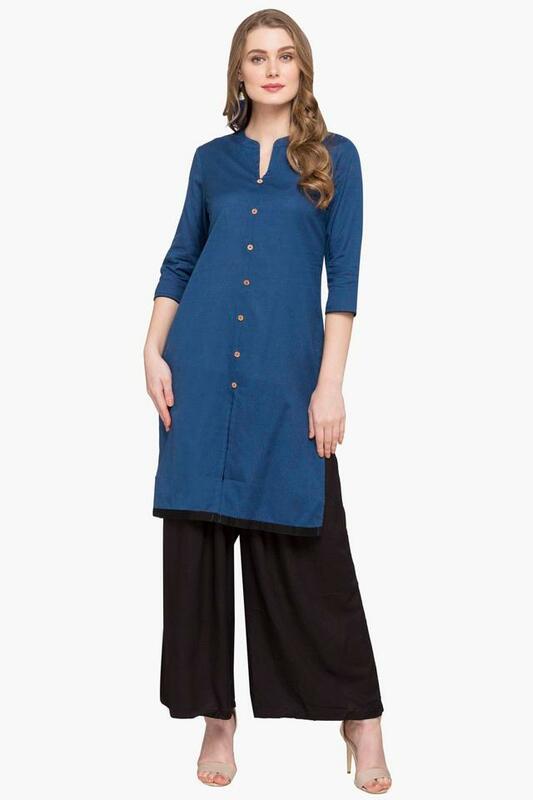 Simply fashionable, this kurta will be a great choice for casual occasions. Club it with a trendy pair of leggings and heeled shoes to get complimented for your sense of style.